Folsom Funeral Service » Becker, Dr. Martin D.
Dr. Martin D. Becker, 84, passed peacefully Monday, March 25, 2019, after a brief illness. Martin spent his final days in his Westwood, Mass. home surrounded by loving family and serenaded by the classical music he loved since his childhood. Martin was a well-respected physician, specializing in plastic and reconstructive surgery, in a career that spanned 35 years. He was on the staff of both Norwood Hospital and Sturdy Memorial in Attleboro, and ran a successful practice in Norwood. He served as President of the medical staff of Norwood Hospital in 1978 and remained an active participant in staff meetings after his retirement. Martin was an accomplished sailor and spent many days cruising the waters off Boston, Martha’s Vineyard and Maine on Nose Job III. 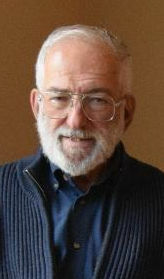 As a 50-year member of the Great Blue Hill Chapter of the U.S. Power Squadron, Martin was responsible for teaching a sailing course to dozens of students. A student of opera and classical music, Martin found much pleasure listening to live and recorded concerts, and practicing piano. He was a voracious reader of history and loved sharing what he learned on many subjects. He and his wife Gail traveled internationally in his retirement, and enjoyed many winters in Barbados and summers on Martha’s Vineyard. Martin was a 1952 graduate of Revere High School, Boston College (1956) and Tufts Medical School (1960). After completing his education, Martin served in the U.S. Air Force as Chief of Plastic Surgery at Wright-Patterson Air Force Base in Dayton, Ohio. He is survived by Gail, his devoted and loving wife of 58 years, daughter Anne Becker of Newport, R.I., daughter Lee Becker Salamone and her husband David of Springfield, Va., son Al Becker and his wife Shannon of Norwood, Mass. and daughter Sharon Becker of New York City. He was Grandpa to Lilly and Marty Salamone, and Pop Pop to CeCe and Coley Becker. A memorial service for Martin will be held Sunday, March 31 at 11 a.m. at Folsom Funeral Home in Westwood. Visiting hours will precede the service beginning at 10 a.m. In lieu of flowers the family suggests memorial donations be sent to the Martha’s Vineyard Chamber Music Society at P.O. Box 4189, Vineyard Haven, MA 02568, or the American Cancer Society at 1324 Belmont St., Brockton, MA 02301.